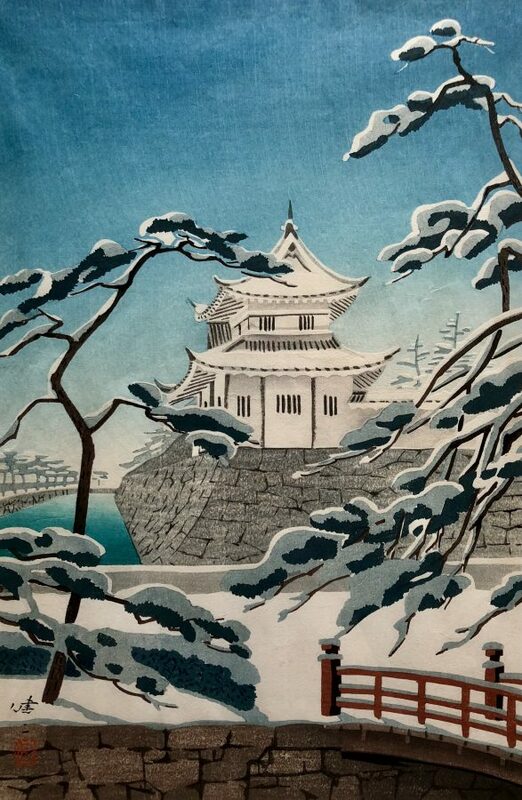 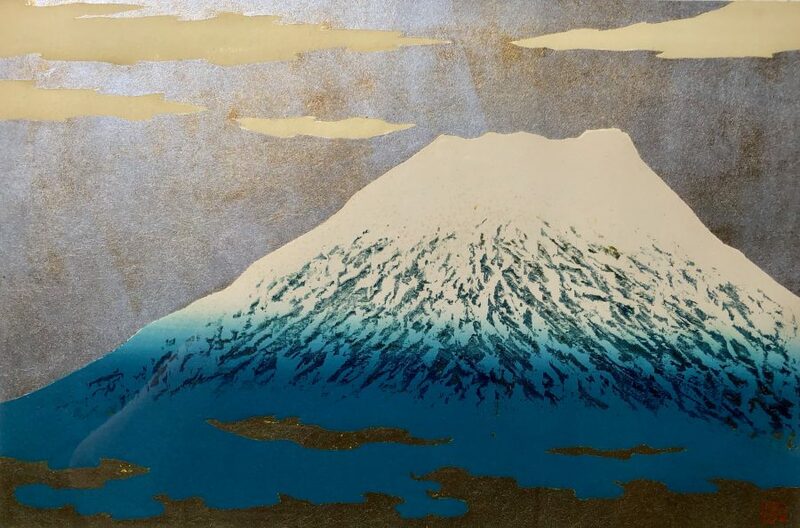 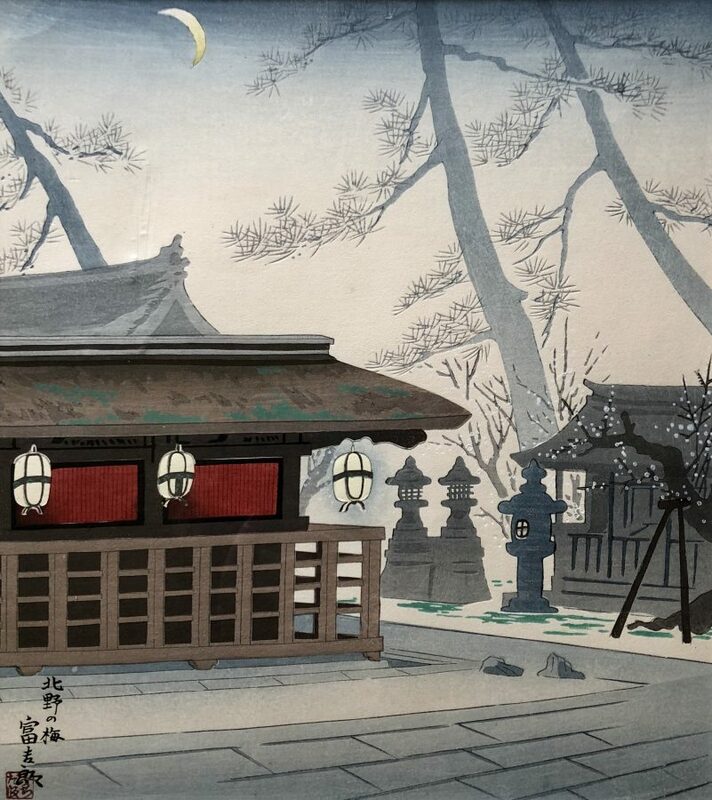 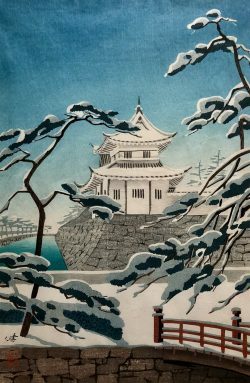 Our popular 2015 show of Japanese Woodblock Prints provided an overview of 200 years of the art of Japanese printmaking, from the late 18th century through the end of the 20th century. Our NEW EXHIBITION, featuring over 30 works emanating from the same private collection, explores in more depth the development of the TWO MAJOR 20th CENTURY SCHOOLS of the art form. 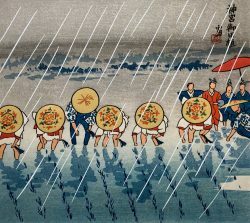 These are the SHIN-HANGA and the SOSAKU-HANGA movements. 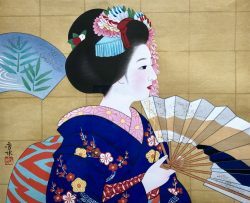 The traditional UKIYO-E prints which were created during the 19th century showed images of the “floating world” – the transient hedonistic lifestyle of the wealthy class, with images of beautiful courtesans and geisha and Kabuki actors. Characteristic of these prints were the flat planes of color and beautiful patterns which caught the eye of the French impressionist artists and which influenced their work. 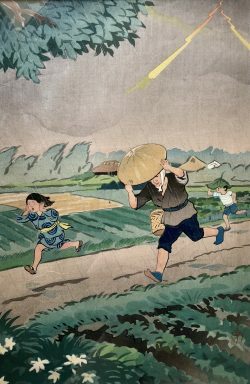 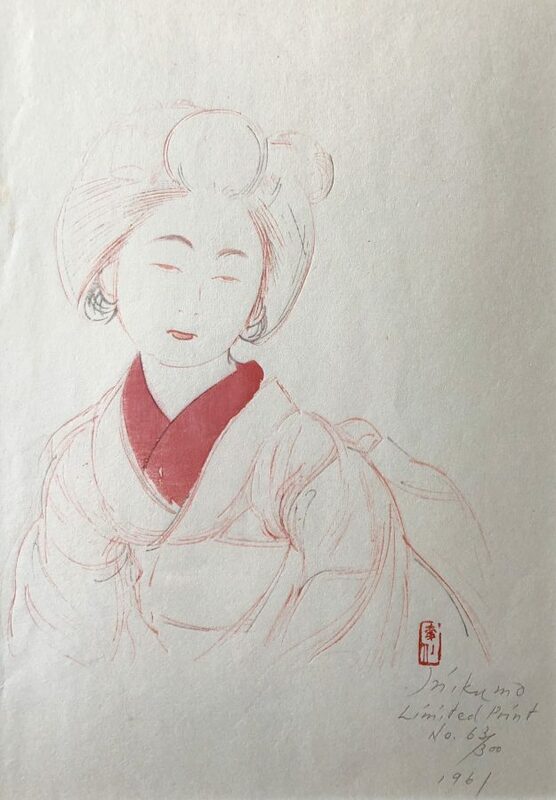 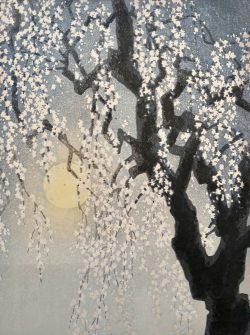 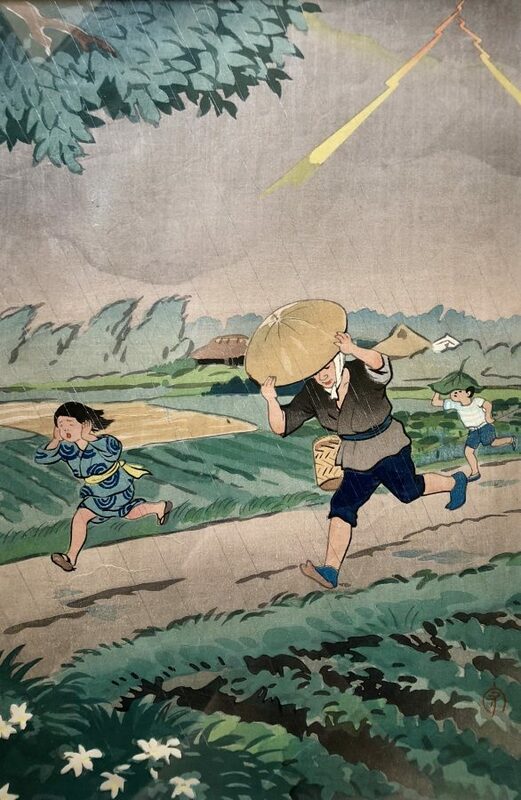 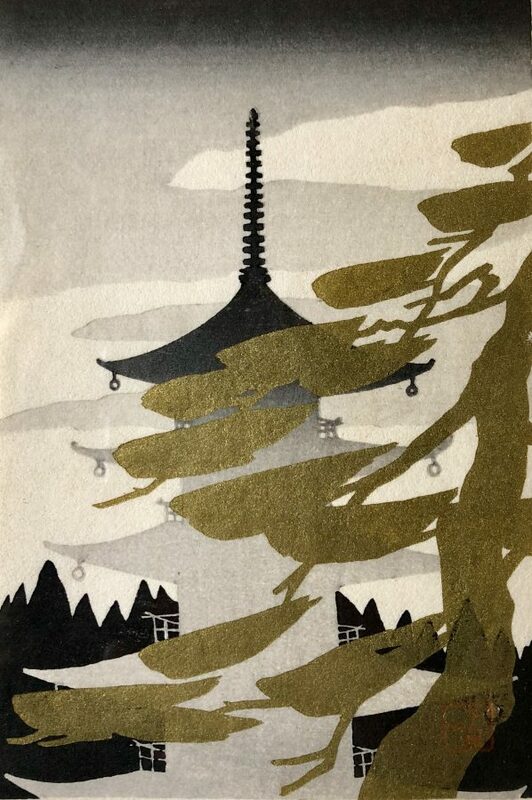 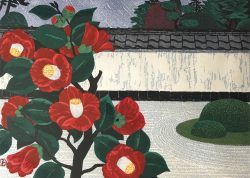 With the modernization of Japan, a clever entrepreneur publisher of woodblock prints in Tokyo – WATANABE SHOZABURO – saw the monetary potential in exporting high quality prints, particularly to the American and European markets, where collectors viewed the Japanese prints as a genuine art form as opposed to the Japanese, who saw them merely as inexpensive consumer goods. 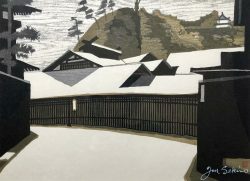 Around 1915 Watanabe conceived what he called shin-hanga – “new prints.” Rather than the traditional subjects, he wanted to emphasize the beauty of Japan in a more western style – impressionistic, atmospheric, three-dimensional, more about the landscape rather than individual people. 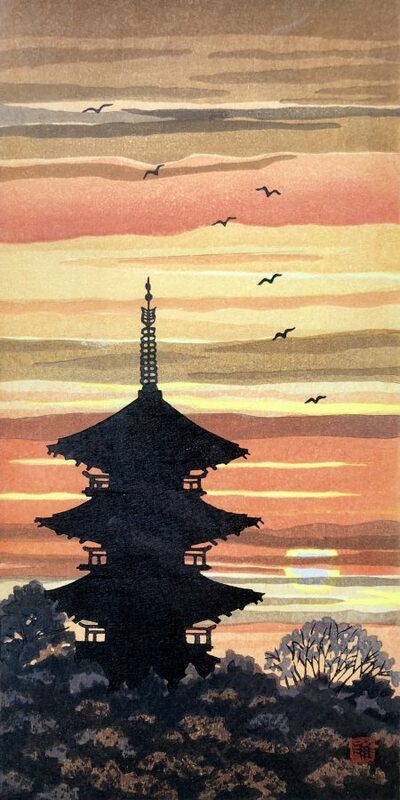 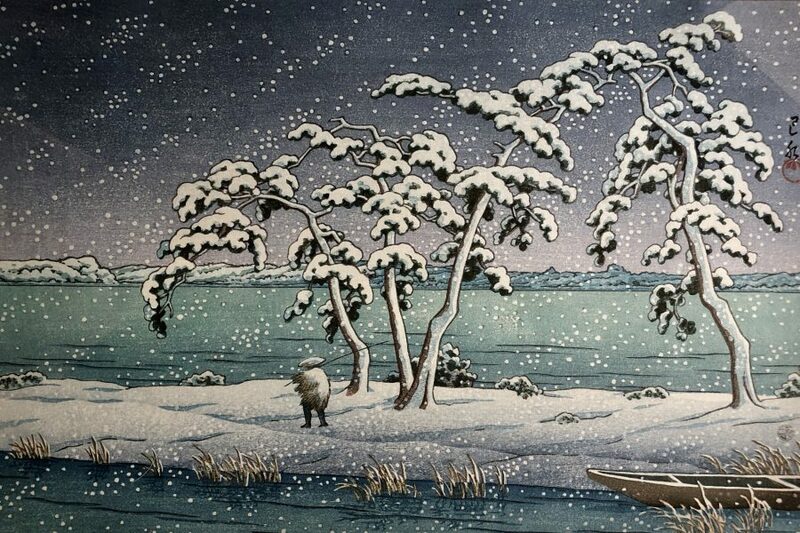 He set about finding talented young artists such as Kawase Hasui to create these images. 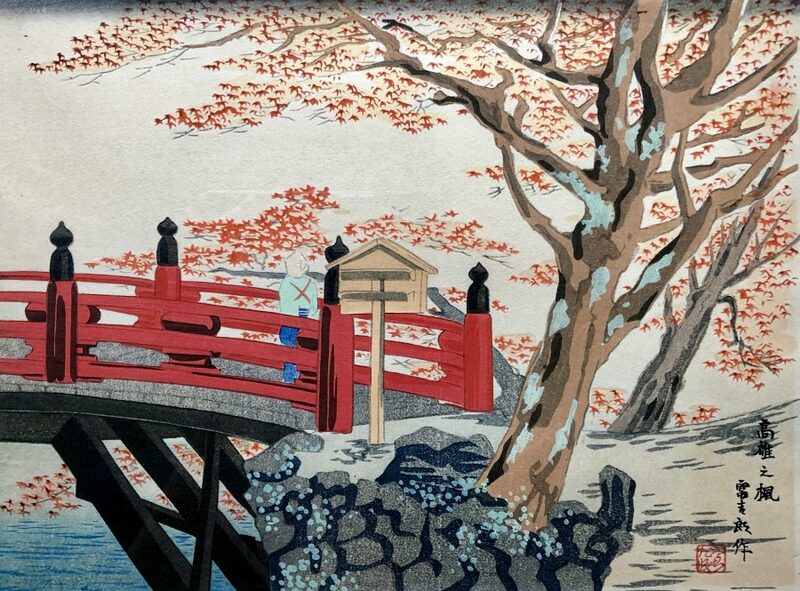 He set high standards for his wood carvers and printers and other technicians. 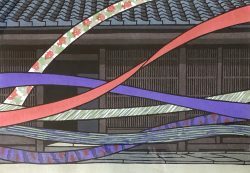 And he was successful! 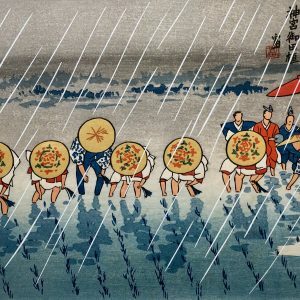 The great heyday of the shin-hanga style lasted until 1950’s. 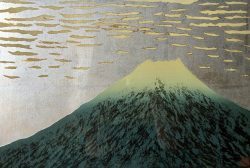 Arising by the middle of the 20th century out of the shin-hanga school, the sosaku-hanga ethic centered around the role of the artist. Many shin-hanga artists wanted to do more than simply surrender their design images to the collaborative workshops of the publishers. 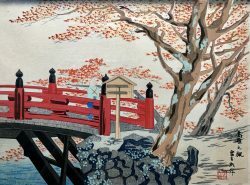 Instead, they wanted to be the sole “hands-on” creators of their work – from design to carving the woodblocks to mixing and applying the ink colors to executing the actual pressing of the blocks onto the paper. 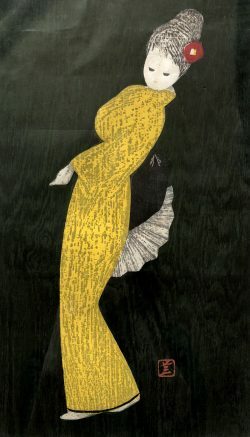 And importantly, each artist wanted his own individuality to shine out. 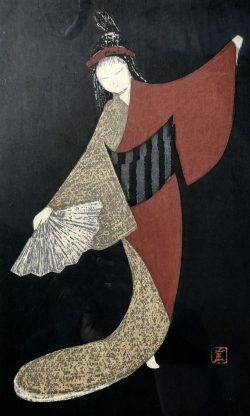 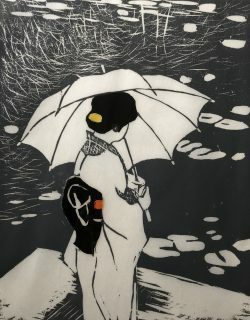 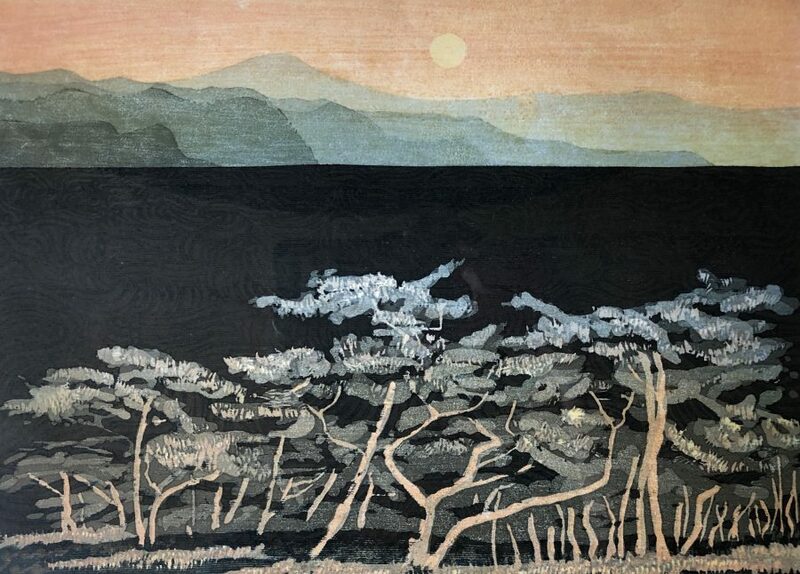 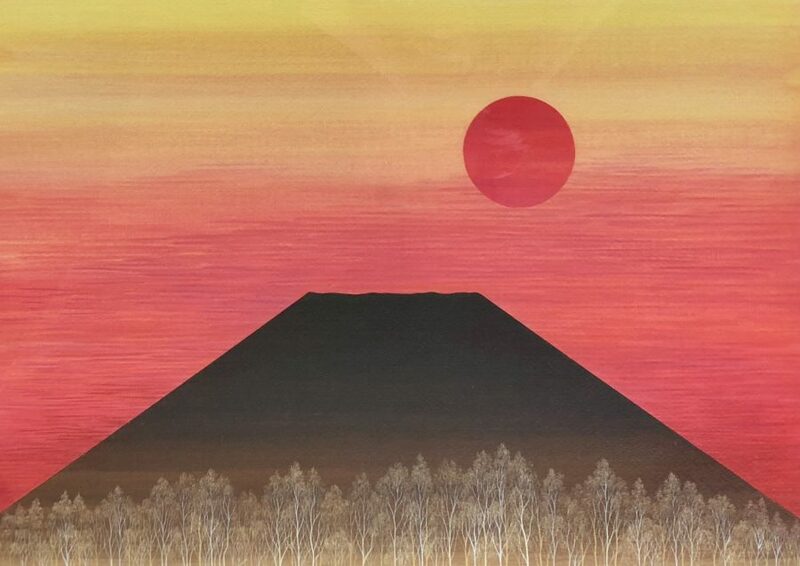 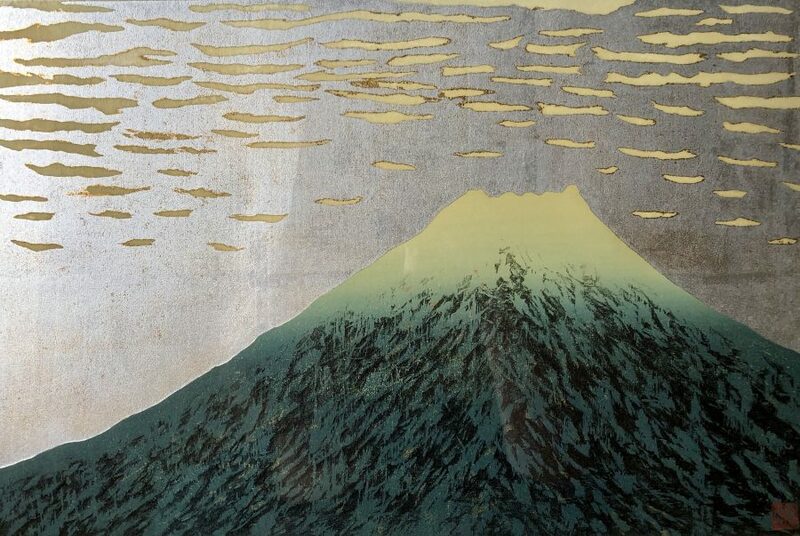 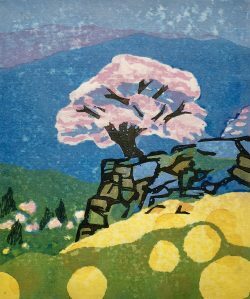 Earlier sosaku-hanga prints are reflective of the mid-century aesthetic as far as “modern” design, and later ones from the 1980’s and 1990’s echo their own eras. They all stem from the “rebirth” of Japan following the Second World War. 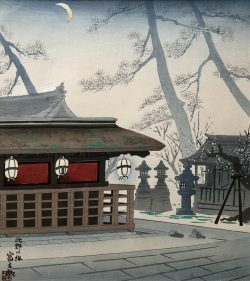 Not only are their images more “modern” in perspective, the printmaking techniques explore new textures and inks and papers. 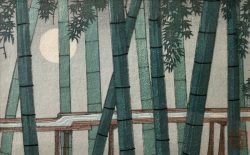 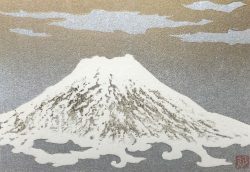 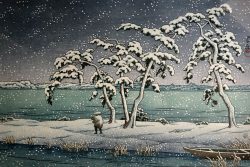 The contemporary “scene” in Japanese printmaking continues with the utilization of both shin-hanga and sosaku-hanga styles. 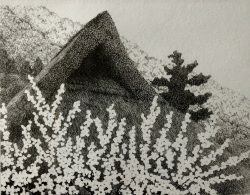 In fact, some artists work in both methods for more economic security. 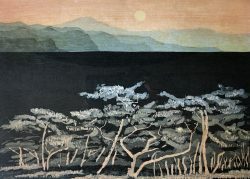 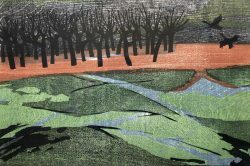 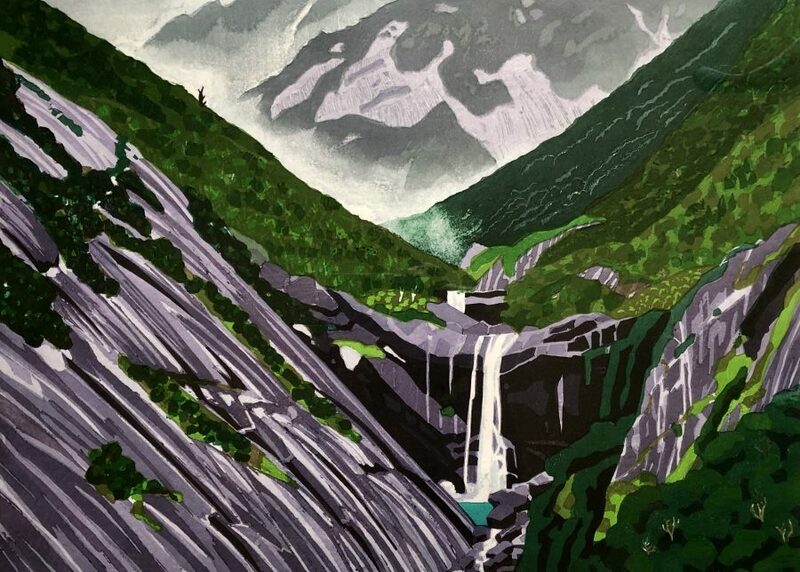 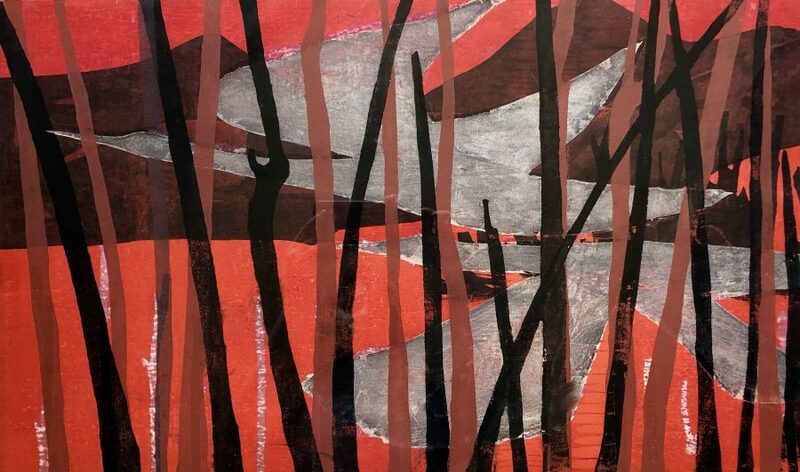 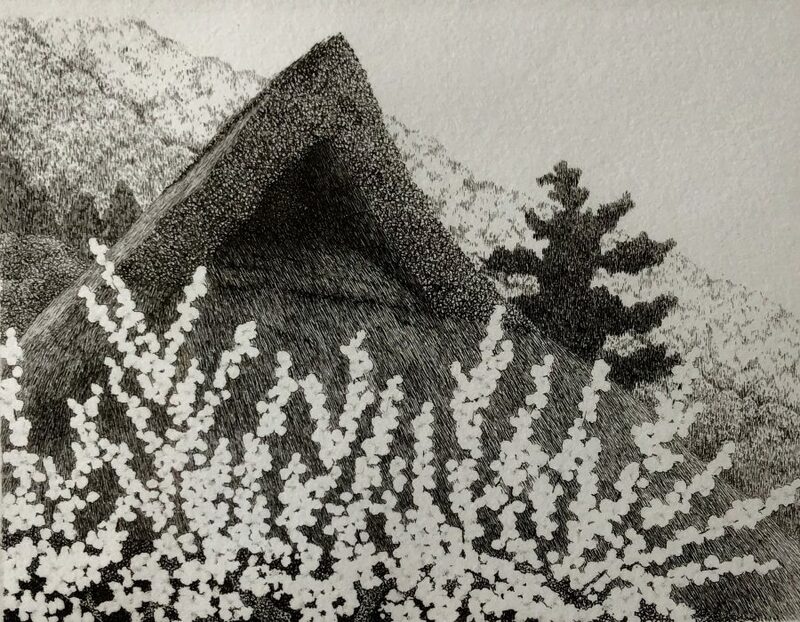 In addition, other modes of artistic expression on paper – such as etching, mezzotint and screen printing – are being employed by emerging printmakers. The Japanese print aesthetic is still vibrant and evolving and still fascinating to Western collectors. 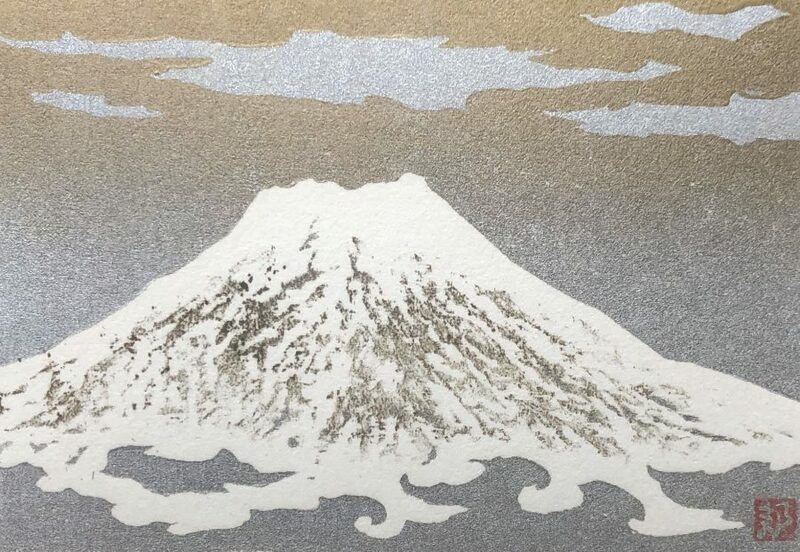 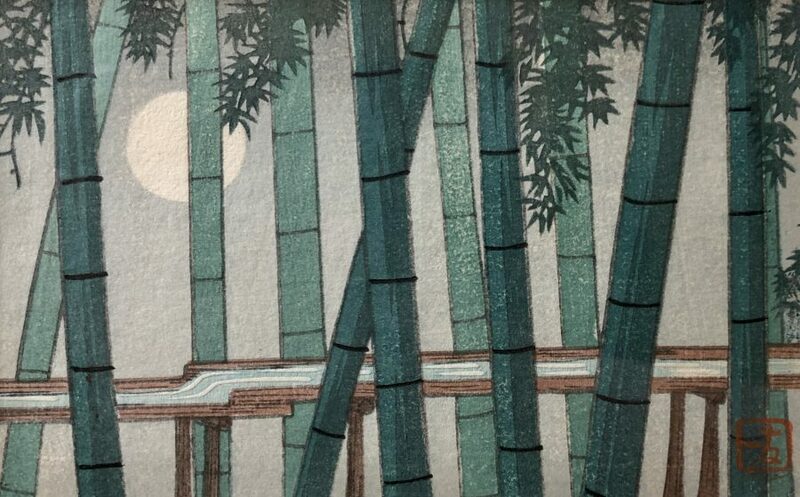 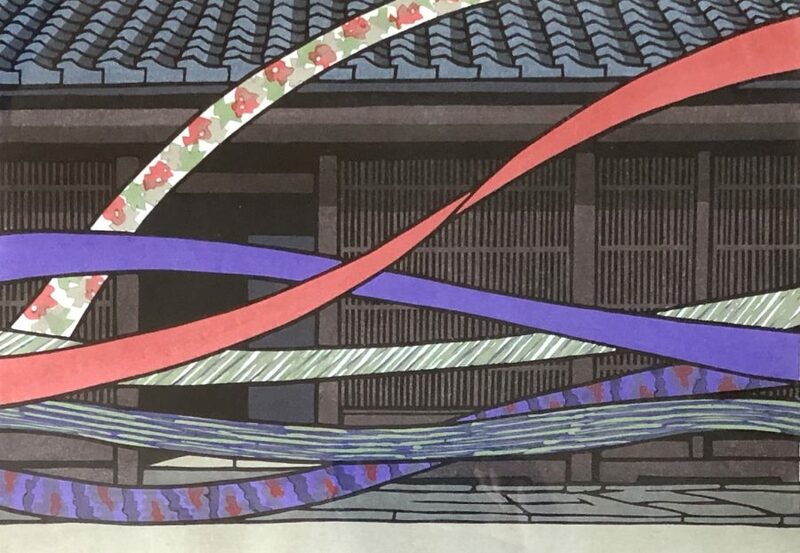 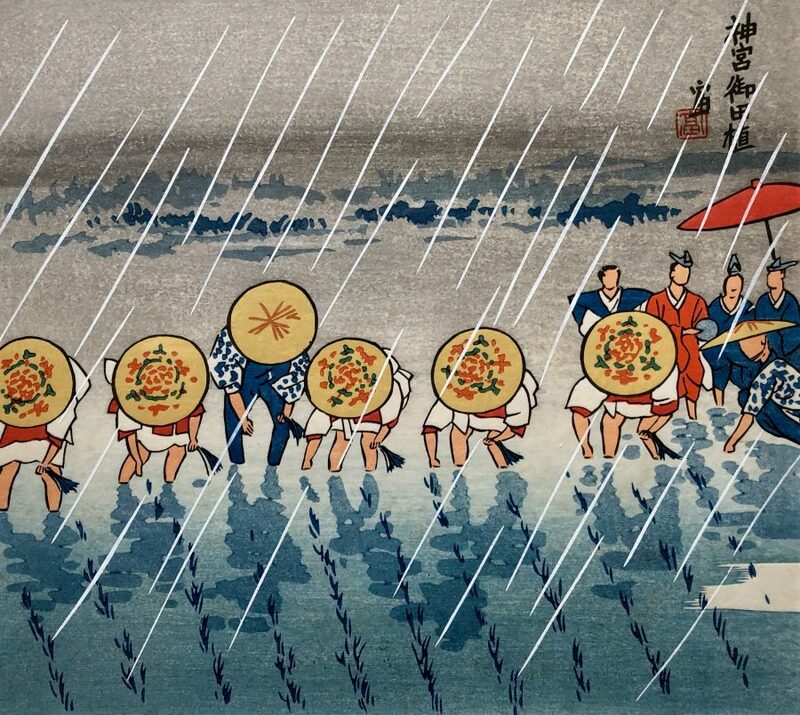 Current market conditions reflect more demand for the shin-hanga and sosaku-hanga works than in the traditional ukiyo-e prints, and rising prices reflect this trend.